I have been wrestling of late with the issue of perceived warmth or even heat in domestic Pinot Noir. I believe this perception should be a component of a tasting note. I find that many reviewers, including those writing in the major wine magazine publications, either fail to comment about perception of alcohol in Pinot Noir wine reviews or downplay its importance. Alan Meadows in the Burghound, is a notable exception. Whether to report the awareness of alcohol (alcohol content in wine is mainly ethyl alcohol, next in importance to water) in a wine is a matter of degree. A subtle warmth is often present on the finish of domestic Pinot Noirs when the alcohol percentage (ABV) is 14.2% and above. This is certainly acceptable and not considered a flaw. However, if the wine finishes with perceived heat or even lip burn, the wine is considered alcoholic, out of balance and flawed, and should be appropriately downgraded. Supertasters are more sensitive to alcoholic heat and may be more likely to report even a mild sensation of warmth (I am not a supertaster). The higher the alcohol, the less the chance the wine will be balanced. The ABV in wine never changes over time in the bottle, so if a wine is high proof, the sense of alcohol will increase over time as the wine ages and the fruit dissipates. Higher alcohol wines imply advanced ripeness of grapes at harvest, and this increases the risk of Brettanomyces and bacterial-induced volatile acidity (VA) during vinification. Wines with significantly elevated ABV simply do not compliment food, and raise the specter of undesirable health consequences from potentially excessive alcohol consumption. I have always considered it important to incorporate the ABV of a wine in a tasting note, and, I believe I was the first wine writer to do this many years ago. That said, the absolute ABV is not as important to the taster as the sensory experience. 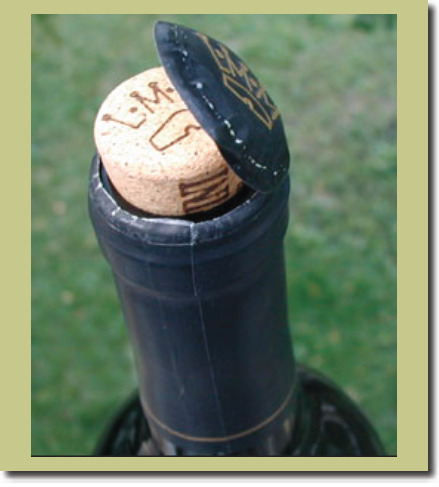 It matters little that a wine is 13.0% ABV or 14.9% ABV if the wine is perceived as hot. I have also attempted to incorporate available harvest Brix data in my reviews. Brix is the relative density of dissolved sucrose in unfermented grape juice. If all the sugar in grapes is fermented, the sugar to alcohol potential strength is as follows: Brix 21.5º = ABV of 12.1%, Brix 22.5º = ABV of 13.0%, Brix 23.7º = ABV 13.6%, Brix 24.8º = ABV of 14.3%, and Brix 25.8º = ABV of 15.1%. Variations may occur if water additions or alcohol-lowering equipment is employed, both unlikely with domestic premium Pinot Noir producers. Recently reported before publication pioneering work by Australian scientists at the Australian Wine Research Institute has led to the discovery of yeast strains that preserve the flavor of fine wine at lower alcohol levels. Certain yeast strains (non-Saccharomyces strains) were shown to produce a 1.8% ethyl alcohol reduction in both Shiraz and Chardonnay wines. This is exciting research that could greatly benefit the wine industry. A very informative article appeared in 2011 in the Journal of Wine Economics (“Too Much of a Good Thing? Causes and Consequences of Increases in Sugar Content of California Wine Grapes”). Probably most wine enthusiasts were unaware of this review, and since it has relevance to this discussion, I will summarize the important points in the article. The authors begin with the premise that the sugar content of California wine grapes has increased significantly over the past 10-20 years, implying a corresponding increase in the alcohol content of wine made with those grapes. They cite data that show that the sugar content of California wine grapes at harvest increased from 21.4º Brix in 1980 (average across all wines and all regions) to 21.8º Brix in 1990 and 23.3º Brix in 2008. This amounts to an increase of almost 7 percent over the most recent 18 years and 9 percent over 28 years. Since sugar converts directly into alcohol, this indicates that a corresponding 9 percent increase in the average alcohol content of wine occurred. This change could be attributed to a number of factors but change in climate was not as significant a variable in this study as the demand for more intense or riper-flavored wines, the so-called “Parker effect,” which resulted in longer hang times. When data from the Liquor Control Board of Ontario was examined, it was found that label claims systematically understated the alcohol content of California wine and this was thought to result from a perception that higher alcohol content diminishes the consumer value of certain wines. A 1% margin of error is permissible in wines with an ABV above 14.1% such that wines with a labeled ABV of 14.1% may actually be anywhere from 14.2% to 15.1%. 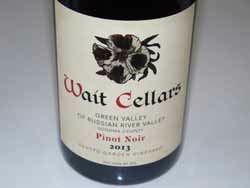 The fact that so many California Pinot Noirs have a 14.1% ABV on the label supports the notion that wineries fudge a bit to avoid the undesirable perception of higher alcohol content. 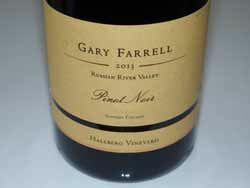 I looked at the average of reported ABV of California Pinot Noirs reviewed in the PinotFile from six recent vintages, 2008-2013. There were several interesting observations. 1 Average ABV range was relatively consistent for each vintage except 2011 when this cool vintage showed a noticeable drop in average ABV, especially for cooler regions such as Anderson Valley, Sta. Rita Hills, Sonoma Coast and Santa Cruz Mountains. 2 Over this six year period, there was not an escalation of ABV in any region. This indicates that California Pinot Noir, at least over the most recent six vintages, did not show the increase in average ABV that has been reported for all red wines as a group in California. 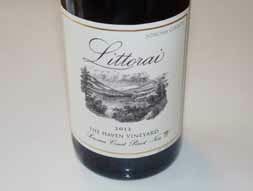 3 Santa Lucia Highlands Pinot Noirs had a significantly higher average ABV in every vintage. 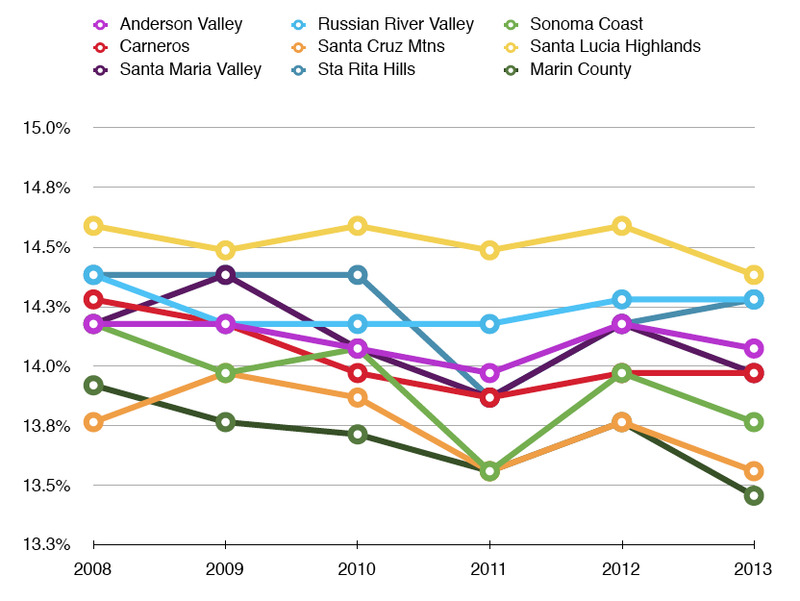 4 Marin County and Santa Cruz Mountains had the lowest average ABV in every vintage (tied with Sonoma Coast in 2011). 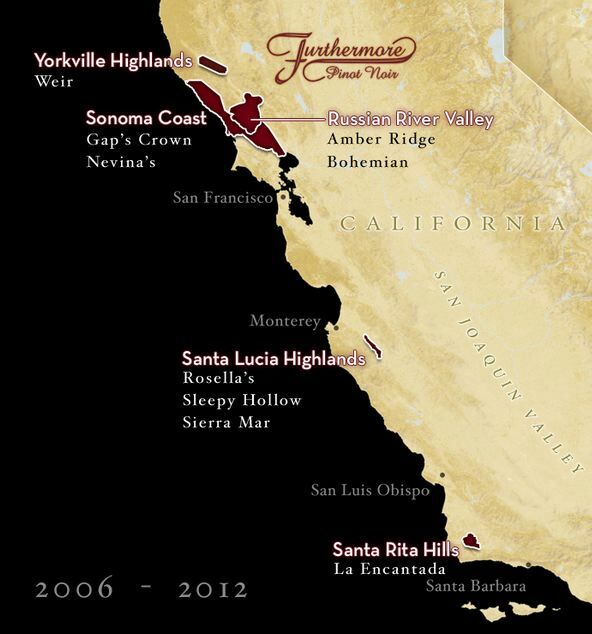 5 The Russian River Valley and Santa Lucia Highlands, both warmer Pinot Noir growing regions, showed a more consistent average ABV over the six vintages than the other cooler regions. 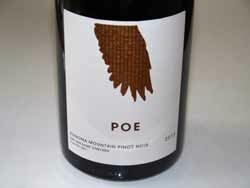 I always look forward to receiving the Pinot Noirs from Scott and Marta Rich because they never fail to please me. Scott, who learned his winemaking under Tony Soter when Tony was at Etude in Carneros, launched his label in 1993. He searches for vineyards that are challenging and expressive since he believes extreme vineyards are more likely to reveal terroir. Scott tends to use more new oak than many California vintners, incorporates some whole cluster fermentation, and ages the wines in barrel for an extended time. Decanting is preferable if you drink them any time soon after their release. They are noteworthy for their age ability. 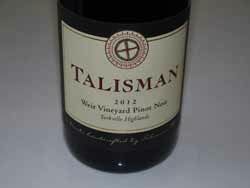 Talisman wines are sold through the website at www.talismanwine.com, a mailing list, and the quaint tasting room in a 100-year-old building in downtown Glen Ellen. The five wines reviewed below have been released and additional 2012 Pinot Noirs will appear this fall and next winter. The estate vineyard, located at 1,000 feet elevation on the northwestern shoulder of Sonoma Mountain, was originally planted to Cabernet Sauvignon in 1973, but the site, located proved too cool for consistent success with this variety. The vineyard founder, Dave Steiner, coaxed by noted winemaker Rod Berglund, planted a block of the vineyard to Pinot Noir in the early 1990s. 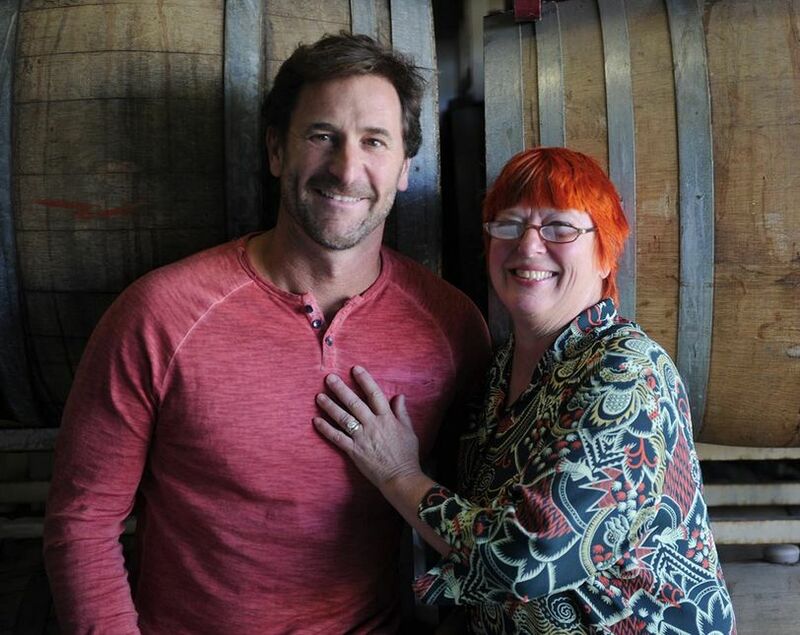 Present owners, Nate and Lauren Belden acquired the site in 2005 and redeveloped the vineyard, named Steiner Vineyard after Dave Steiner. Only 1.5-acre stand of Pinot Noir clone 667 planted in 1998 could be saved. Soils are ancient volcanic in type. Vineyard manager is Chris Bowland and winemaker is Justin Harmon. Visit www.beldenbarns.com. 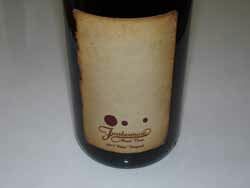 This winery is a joint effort of Will Henry and iconic Santa Barbara County winemaker Lane Tanner. Grapes are picked relatively early on the harvest calendar to create a livelier wine that is lower in alcohol. Lane Tanner was one of the first female winemakers in Central California. Will Henry is a widely published journalist and photographer and founder of the non profit organization Save The Waves Coalition. Will and Lane make the wines together in Santa Maria. 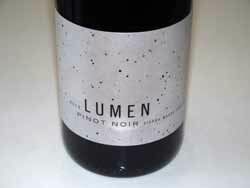 Visit the website at www.lumenwines.com. Veteran winemaker Nicolai Stez, who work at the side of Burt Williams for many years, sent me these 2012 Pinot Noirs. The 2012 Buena Tierra Vineyard bottling scored 98 points and was awarded Best California Pinot Noir and Best of Region at the 2015 California State Fair. 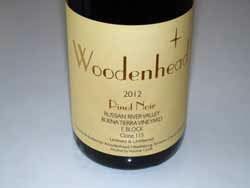 Visit www.woodenheadwine.com. 2015 San Francisco International Wine Competition The 35th annual San Francisco International Wine Competition was held on June 12, 13, and 14, 2015 in San Francisco and included 4,902 wines from 29 states and 26 countries. 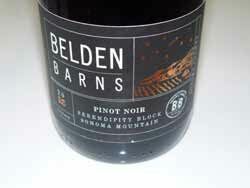 Pinot Noir wines won 32 Double Gold Awards, 20 of which were from the 2013 vintage. A Double Gold is awarded when all the judges unanimously agree on a Gold Award. As noted previously in this issue, Best Pinot Noir went to the 2013 Furthermore Nevina’s Vineyard Sonoma Coast Pinot Noir. Pinot Noir Double Gold winners include 2013 Navarro Vineyards Methode a l’Ancienne Anderson Valley ($29), 2012 Sean Minor Carneros ($20), 2013 10Span Santa Barbara County ($10), 2014 Sean Minor Carneros Pinot Noir Rosé ($16), 2013 Josh Cellars California ($17), 2013 Furthermore Russian River Valley ($50), 2012 Crespi Santa Maria Valley ($20), 2013 Amore Fati Ouroboros Sonoma Coast ($45), 2013 Ano Verde Santa Barbara ($20), 2012 Cru Montage Santa Lucia Highlands ($25), 2013 Aquinas Napa/Sonoma ($20), 2013 Austerity Santa Lucia Highlands Pinot Noir ($17), 2013 Graton Ridge Cellars Russian River Valley ($45), 2012 Lead Hill Santa Barbara County ($19), 2013 Stateland Cellars Santa Barbara Pinot Noir ($15), 2012 Sunstone Vineyards & Winery Santa Barbara County ($42), 2012 Melhill Sonoma Coast ($60), 2013 White Oak Vineyards & Winery Estate Grown Russian River Valley ($35), 2013 Red Truck California Pinot Noir ($10), 2012 Mollie Wine Santa Maria Valley ($32), 2012 Jackson Estate Vintage Widow Marlborough ($34), 2013 Black Stallion Los Carneros ($30), 2013 Fog Crest Vineyard Laguna West Russian River Valley ($39), 2012 Boekenoogen Vineyards & Winery Estate Santa Lucia Highlands ($55), 2013 Francis Ford Coppola Winery Director’s Sonoma Coast Pinot Noir ($21), 2014 Tolusa Rosé of Pinot Noir Edna Valley ($24), and 2013 Brassfield Estate Winery High Valley ($20). Bounty of Yamhill County The Bounty of Yamhill County (BOYC) is an annual summer celebration of the wineries, farms and chefs of Yamhill County, Oregon. Tickets are now available for the three-day event, August 28-30, 2015. The event was recently placed second by readers of USA TODAY on the list of Best General Food Festival in the United States. Welcome winemaker dinners, artisan food producer tours and lunch, custom classes and experiences and an al fresco dining feast at Sokol Blosser Winery. Visit www.bountyofyamhillcounty.com for more festival details and tickets. Wine Road Wine Road is an association of 200+ wineries and 50 lodgings in Northern Sonoma County spanning the Russian River, Alexander and Dry Creek Valleys. 2016 marks the association’s milestone 40th anniversary. The association is known for three annual wine events: A Wine & Food Affair in November, Winter Wonderland in January, and the Barrel Tasting weekends in March. Wine Road is also a resource for visitors to the region. Because of the approaching anniversary, a yearlong celebration will be held in 2016 featuring special events and activities. Visit www.wineroad.com for details on upcoming events and a free map of the Wine Road region. 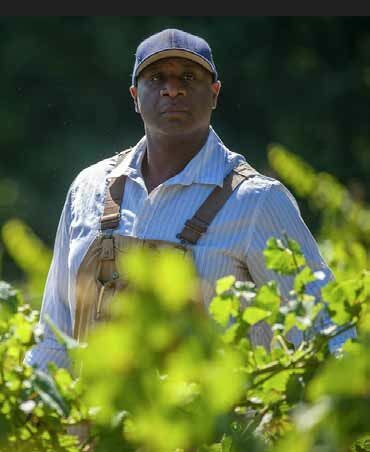 First Black Winemaker in Oregon Bertony Faustin is Oregon’s first recorded Black winemaker, a rarity in a generally white, high brow industry. He is owner of Abbey Creek Vineyard and Winery and has become a spokesperson for other minorities in the Oregon wine industry. He is also the personal passion behind “Red, White & Black,” a documentary film made about minority winegrowers which is seeking support through www.lindiegogo.com. Bertony notes, “Some people are surprised and seemingly unsure of what to say or do when they learn I’m not a vineyard hand or the cleaning man. I am the mythical unicorn.” “Red, White & Black” features the following winemakers: Bertony Faustin and Ocean Yap-Powell of Abbey Creek Vineyard, Jarod Sleet of Argyle Winery, Jesus Guillen of Guillen Family Wines and White Rose Estate, Laurie Lewis and Renee Neely of Hip Chicks Do Wine, Andre Mack of Mouton Noir Wines, and Shuhe Hawkins of Seven Sails Vineyard. BTW, Abbey Creek Vineyard does offer Pinot Noir. Summer is Time for Rosé A very detailed article about Rosé wines, written by certified wine specialist, Joe Roberts, was published on June 9, 2015, at www.fix.com/blog/an-introduction-to-rose-wine/. 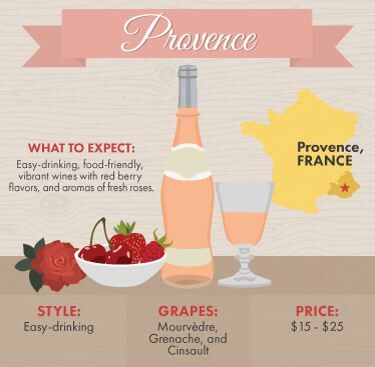 This informative piece that concentrates on international styles of rosé, and although Pinot Noir rosé is not given any mention, I found the article enlightening. Wine Trails Now Highlighted in SLO Wine Country’s New 2015-16 Map SLO (San Luis Obispo) Wine Country on California’s Central Coast has unveiled six themed wine tasting trails now depicted on new maps available at www.slowine.com. Wine trail visitors are invited to tag #slowwinetrail and share their experiences, favorite trails and photos. 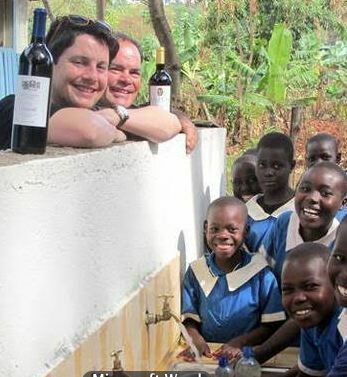 Vineyards to Villages (V2V) V2V has partnered with select wineries in Sonoma County to help bring clean water, sanitation facilities and hygiene education to primary and secondary schools in East Africa that currently have no access to clean water. The proceeds from select wines purchased from visiting participating wineries or through the V2V online marketplace support this charitable cause. 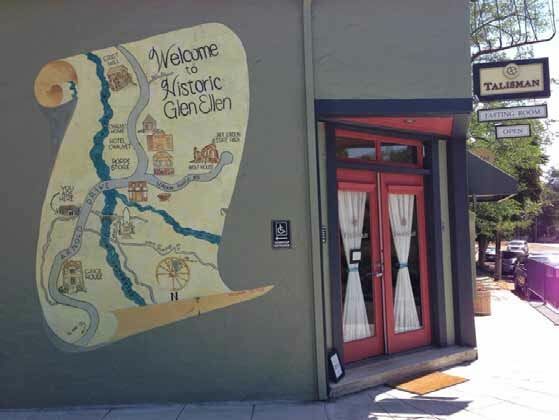 For more details about the project and a list of participating wineries, visit https://gpfd.org/vineyards-to-villages. TerraDash This is a new digital concierge that addresses the needs of wine tourists. The web + mobile tool offers personalized preference and context-based destination recommendations, end-to-end multiple destination trip itineraries in a few clicks complete with optimized scheduling and routing, visit confirmations, hands free trip navigation, and in-app tools for capturing each winery visit experience. TerraDash is free to consumers. Visit www.terradash.com. Quench Magazine Join the current 250,000 readers and check out this food and drink magazine which features excellent newsworthy articles on wine, beer and spirits from around the world as well as wine reviews. The stories are written in understandable plain sense language, are brief and are easy to flip through online. The magazine is published eight times a year. Read through the latest online content at http://quench/me/, or visit 36 archived issues at http://issuu.com/quenchbytidings. What separates this magazine from others on wine is that there are many food related stories as well which most wine lovers and foodies will enjoy. 101 Best Wineries in America for 2015 The Daily Meal unveiled recently the 101 Best Wineries in America for 2015. The list was compiled by a team of well-known sommeliers, wine writers, chefs, restaurateurs and the wine-savvy editors of The Daily Meal. They also consulted the leading wine publications and newsletters and considered recent awards from prestigious competitions. 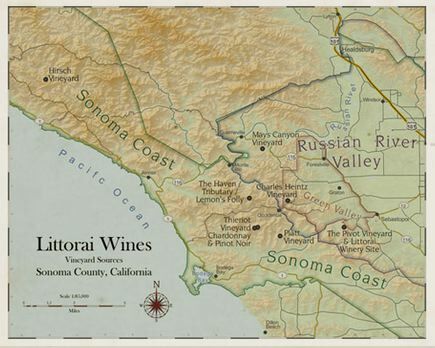 Two-thirds of the wineries listed were based in California. Tablas Creek Vineyard was number one on the list, with Ridge Vineyards second. Pinot Noir producers of note that made the list include Au Bon Climat, Calera, Robert Sinskey Vineyards, Littorai, Domaine Drouhin Oregon, Navarro Vineyards & Winery, Copain Wines, Ponzi Vineyards, Patz & Hall, Talley Vineyards, Domaine de la Cote, Hirsch Vineyard, Arnot-Roberts, The Eyrie Vineyards, Wind Gap Wines, Hanzell Vineyards, Elk Cove Vineyards, Evening Land Vineyards, Soliste, Ken Wright Cellars, Mount Eden, Tensley Wines, Foxen Winery, Rochioli Vineyards & Winery, Iron Horse Vineyards, Sandhi Wines, Truchard Vineyards, Chehalem Winery, Balletto Vineyards & Winery, Peay, The Ojai Vineyard, MacPhail Family Wines, and Dolin Malibu Estate Vineyard. I can’t argue with most of the choices, but like any “Best” list, many worthy wineries were left off the list and I would never undertake such a list. Visit www.thedailymeal.com/americas- 101-best-wineries. Scholarship in Honor of Charles Bacigalupi The Russian River Valley Winegrowers (RRVW) and Bacigalupi Vineyards founded a scholarship in 2014 in honor of Charles Bacigalupi and is offered annually to a student concentrating in the field of viticulture or viticulture business. The 2015 recipient was Lori Bisordi of Santa Rosa, CA, who plans a career in vineyard management. Crowdfunding for Documentary Film Filmed over a two-year period, “Burgundy: People with a Passion for Wine,” is a mosaic of stories about people who’s lives revolve around the culture, challenges and pleasures of wine and winemaking in Burgundy’s Côte d’Or. The crowdfunding campaign went live on Tuesday, July 21, 2015, and will run for 40 days. The film will be submitted to international film festivals with international distribution to wine aficionados beginning in the fall of 2016. I thought the title of the film a bit mundane, since people involved in wine and winemaking all over the world have a passion for wine, and “passion for wine” is a hackneyed phrase. Pinot in the City Over 60 world-class Pinot Noir producers from the Willamette Valley will be pouring at Pinot in the City in San Francisco at the Golden Gate Club on August 26, 2015. Tickets are available through Eventbrite at www.eventbrite.com/e/pinot-in-the-city-tickets-17659878171. Üllo Wants to Purify Your Wine Chicago-based startup, Üllo, has launched a new product that removes sulfites from wine that are added to preserve wine but are no longer needed once the bottle is opened. Üllo purifies wine using a food-grade polymer filter to selectively remove sulfites, allowing the wine to flow through otherwise unaffected. Üllo maintains the original flavor and character of the wine while restoring sulfites to a more naturally occurring level of less than 10 ppm. The product is aimed at those who are allergic to sulfites. The Üllo purifier is placed on top of a variety of wine glasses or the Üllo carafe and decanter. Üllo can also aerate wine in the same pour. Üllo launched on Kickstarter in July. By pre-ordering through the campaign, consumers will contribute towards production of the Üllo. Visit www.ullowine.com to pre-order. A non biased and comprehensive review of the device is at: www.wineturtle.com/ullo-wine-purifier-review/. Windy Oaks Celebrates 1-year Anniversary of Tasting Room Judy and Jim Schultze will be celebrating the one-year anniversary of their off-property tasting room on the West side of Dolores, between 5th and 6th, in the courtyard across from Jack London Pub in Carmel-by-the-Sea. A celebration will be held August 22 & 23 from 12-7 including special tastings, discounted wines, locally catered appetizers and music. Penner-Ash Debuts Expanding Tour and Tasting Offerings Owners Lynn and Ron Penner-Ash invite visitors beyond the ordinary tasting room experience to tour the winery, taste library Pinot Noir wines in the intimate Fireside Room, enjoy private seated tastings on the fermentation deck, hike among the vines, and enjoy a picnic lunch in the estate vineyard or tasting room. New offerings are also available for small and large groups that include a variety of private event options featuring the culinary talents of local chefs, caterers and restaurants. 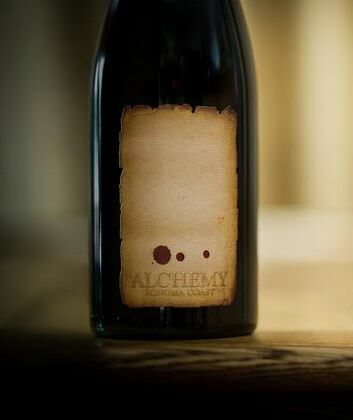 For a full menu of Penner-Ash Wine Cellars’ tastings and hospitality offerings, visit the winery’s newly relaunched website at www.pennerash.com.